Stunning Bathroom Makeovers in Just One Day! We can revamp an outdated bath fast and for a fraction of the cost of a traditional renovation. If you’ve been putting off a much-needed bathroom makeover because you don’t want to have to deal with a long, messy renovation, call us today! 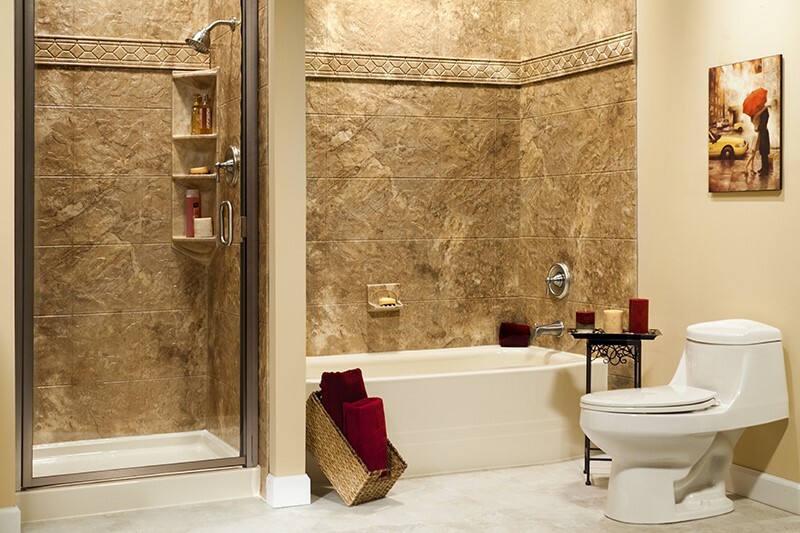 Selig Custom Construction offers bathroom remodeling options that can be completed in as little as one day. It might sound too good to be true, but since 1995 we’ve helped thousands of homeowners update their spaces with our beautiful, affordable Northern California one day baths! 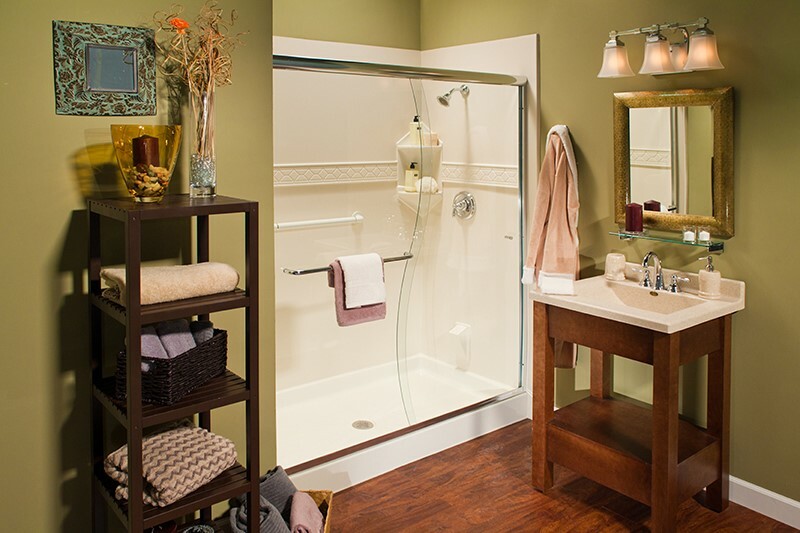 Durable Acrylic: Our tubs and showers are made from durable acrylic that won’t chip, crack, or stain, and are made to last a lifetime. Many Design Options: Choose from dozens of color and style combinations to get the look you want. Good Housekeeping Seal: Our acrylic bath products have earned the Good Housekeeping Seal for quality you can count on! Low-Maintenance: Forget the hassle of daily scrubbing and the need to use harsh chemicals. All you’ll need to clean your new tub or shower is a little vinegar and some hot water! 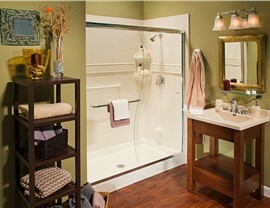 Custom Accessories: Add a rainfall showerhead, built-in seat, caddy, or other accessories to create a tub or shower with a custom feel. Lifetime Warranty: Have peace of mind knowing that our Northern California one day baths are covered by a lifetime manufacturer’s warranty. 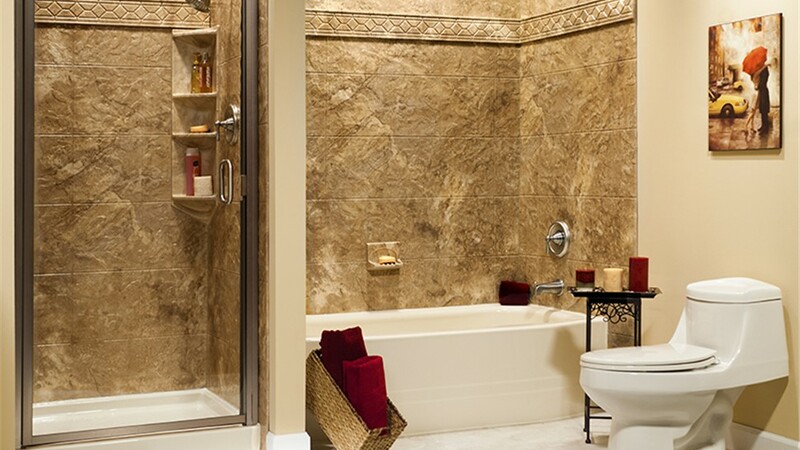 Whether you choose a new tub, shower, walk-in tub, or bath conversion, our talented team of designers and certified installers will help you create the beautiful bathroom you’ve always wanted! 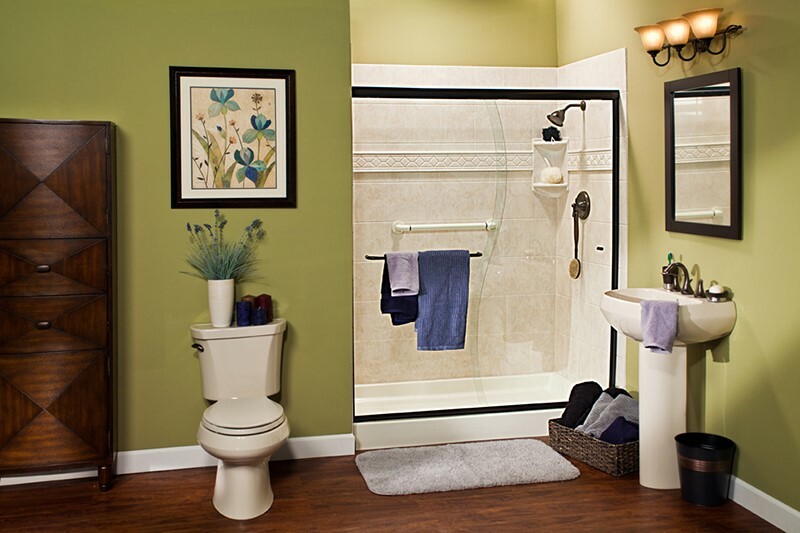 Contact us today to learn more about our quality, affordable bathroom remodeling services. 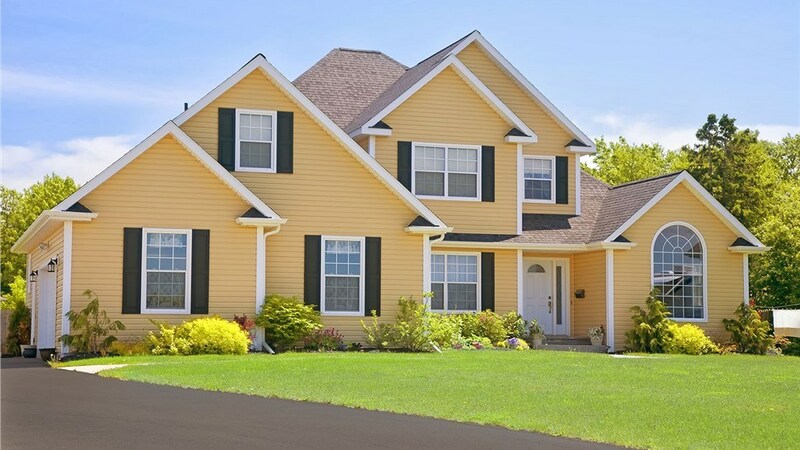 Give Selig Custom a call, or fill out our online contact form to schedule your free, no-obligation estimate. 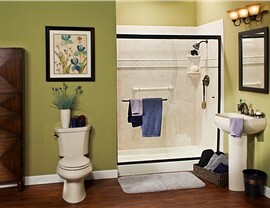 In just a day, we can turn your so-so space into a stunning bathroom!